This week, the Mary Kay community has has lost 2 great National Sales Directors. 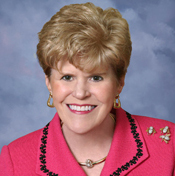 Independent Executive National Sales Director Emeritus Kathy Rasmussen passed away on August 10, 2013, after a brief illness. Only a few days later, on August 14th, Kathy was joined by Rena Tarbet, Independent Senior National Sales Director Emeritus. Both of these wonderful women have served as an inspiration to Mary Kay consultants and directors across the globe, and to preserve their memory, the Mary Kay Foundation has created Tribute Pages for them both. In April of 1972, Kathy Rasmussen debuted as an Independent Sales Director. Kathy was most thankful that she was able to build her schedule around her family's needs. After her children left home, she was equally grateful to have an exciting career that supported her personal philosophies. Kathy's favorite advice was to "work at something you would do, even if you didn't get paid," and she lived it in her Mary Kay business and in the mentoring of women every day of her life. Kathy was also very proud of her daughter, Julie Rasmussen, who served as President of the Mary Kay subsidiary in Russia for a time. 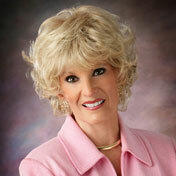 Kathy considered Sue Z. Vickers and Mary Kay to be the mentors who taught her to fish for a lifetime, as was evidenced not only by her Million-Dollar Sales Director achievement, reaching Top Ten Sales Director Nationwide multiple times, earning over five million dollars in commissions in her Mary Kay business, but also by debuting as an Independent National Sales Director in 1992, then continuing with four more offspring National Sales Directors from her "Rasmussen Rockets" Area. She will be remembered for her business acumen, hard work to establish the Mary Kay dream and the belief that "miracles truly do happen every day." Rena Tarbet became a Mary Kay Independent Beauty Consultant in 1967 and immediately embraced the opportunity, debuting as a National Sales Director in 1983. She was a close personal friend to our dear founder Mary Kay Ash, and as Rena climbed the ladder of success, she stepped into the limelight onstage becoming a favorite speaker and teacher at Mary Kay events. Her message always rang true always supportive, always encouraging, always heart-warming with a touch of humor. Everyone who knew Rena realized her strength. When she was diagnosed with cancer years ago, she determined to fight the good fight of faith, and she refused to be victimized by this monstrous disease. Instead she embraced the challenge in such a way that many were amazed by her optimism. She willingly shared her message of hope with others who were fighting the same battle, and her courage never wavered. She championed the Go-Give Spirit, and she loved to laugh, spreading joy wherever she went.